The group Mississippi for Cannabis has received approval from the Secretary of State to begin collecting signatures on their initiative to legalize recreational cannabis. The group will be required to collect 21,233 signatures from registered voters in five different districts by October 2nd to put the initiative to a vote of the people in the 2016 general election. If placed on the ballot and approved into law, the initiative would legalize the possession and private cultivation of cannabis for those 21 and older, without setting any limits on how much a person can possess or grow. Cannabis retail outlets would also be authorized. If advocates fail to gather the required number of signatures by October, they’ll have a new deadline of December; if they meet this deadline, the proposal will be placed on the 2017 general election ballot. 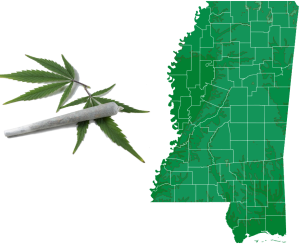 The post Initiative to Legalize Cannabis Receives Approval from Mississippi Secretary of State appeared first on The Joint Blog. 2014 was a year of fascinating marijuana developments: Innovative pot products hit the market, the global pot view is changing and unusual true stories abounded. The post Best of 2014: Here are 25 incredible true stories from Colorado & beyond appeared first on The Cannabist. Nate Keller, the owner of Game Trader in downtown Brighton, said that his 16-year-old hobby and video game store would have gone under if he hadn’t begun selling vape pens and electronic cigarettes. Keller said that because of Brighton’s new ban on vaping in public, he can’t allow his customers to sample the product in the store, and it’s hard to sell a $20 bottle of vape juice if someone can’t try it out first. The post Ban on vaping in Brighton changes plans for vape pen/e-cig retailers appeared first on The Cannabist. We feel comfortable saying it: 2014 was the year marijuana came out of the closet. Not only did two U.S. states open their recreational pot shops but two others voted to open stores of their own — and the wave of momentum continues to move forward. From issues with edibles to millions of dollars in research funding to lawsuits, lawsuits and more lawsuits, there was plenty of marijuana news to cover this year. 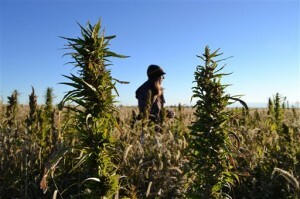 But what about the year’s biggest cannabis-rooted news stories of 2014? Here are 10 of them. The post Best of 2014: The 10 news stories that defined cannabis’ biggest year to date appeared first on The Cannabist. Status of marijuana-related legislation by state as of December 31, 2014.